Moving ahead of the common black ink tattoos we now have white ink tattoos. These tattoos are more subtle and do not flash straight into the eye. 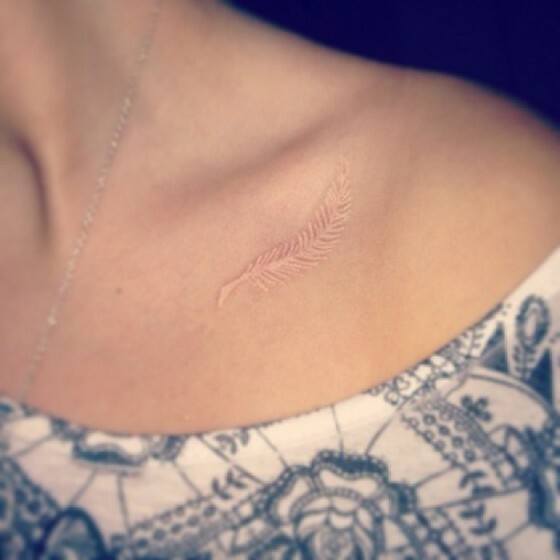 In the first look it might look like a design made on the skin surface, if done badly it might also look like a scar. White tattoos are a little more tricky than black tattoos. Read on to know more about them. 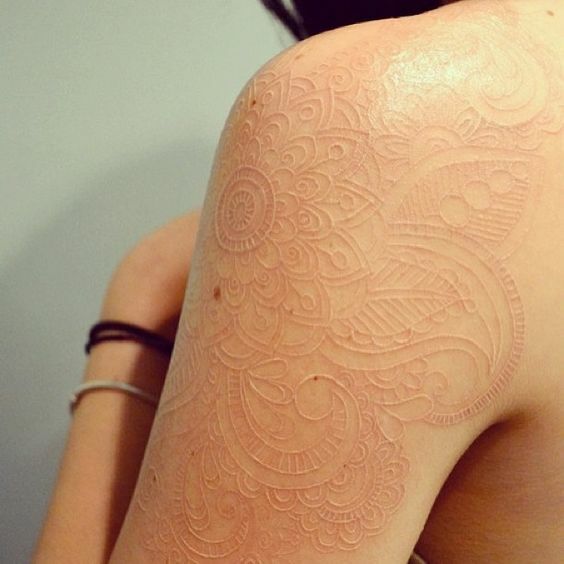 White tattoos are not suitable for all skin types. They might not be visible on dark skin at all. They should preferably be done on white skin. 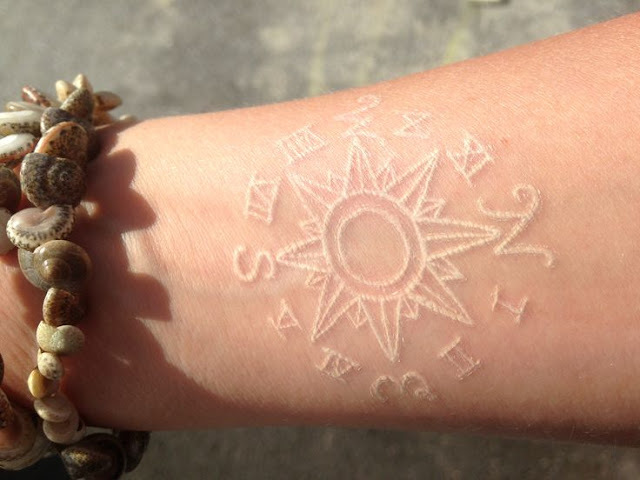 However it is not only the skin color that is important for getting a white ink tattoo. That is infact the least of the problems. The main thing that you should pay attention to while getting a white ink tattoo is the design of the tattoo and the experience of the tattoo artist. All designs are not good designs for a white ink tattoo. If a design is too small, it might end up looking like a scar or a mosquito bite. Whereas a design to big might look like a skin pattern and turn off all those around you. There are very high chances of a white ink tattoo becoming an eyesore for those around you. This is not to discourage you from getting one but just to make you realize that these are more complex than black tattoos. And should be well thought of. The trickiest part of getting a white ink tattoo is deciding on the right tattoo artist. Not every tattoo artist will be good with white ink, primarily because these tattoos do not have any well defined boundaries or outlines, they depend on shadows and are made under UV light. A good tattoo artist will not only give you a good tattoo but will also guide you on whether you have chosen the right design or not ? Do you have the ideal skin type for a white tattoo or not?